Budapest - the capital of Hungary, is known as “Pearl of the Danube”. 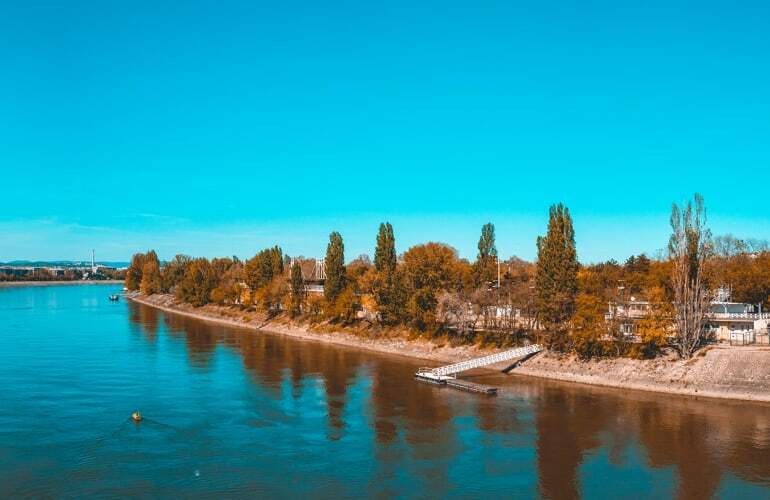 Danube is Europe's second longest river, after the Volga. It divides Budapest into two parts: Buda peaceful city and Pest lively city. 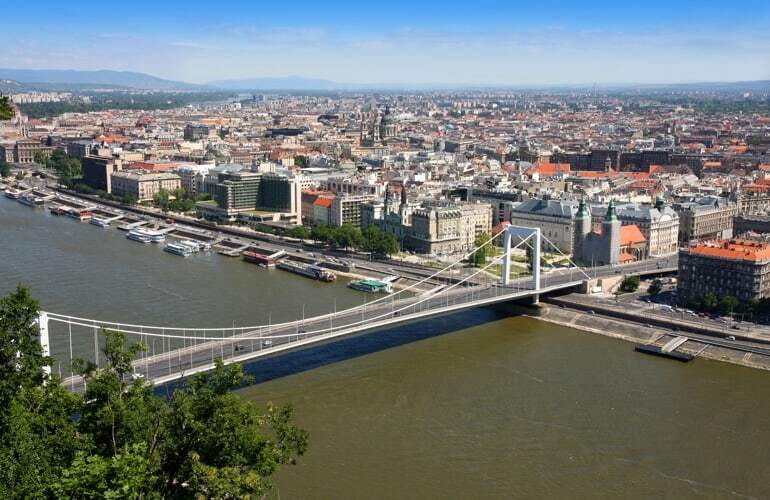 To connect these two cities, there are eight beautiful bridges across the Danube. Each bridge has its own historical story with a distinct style, and own charming beauty. 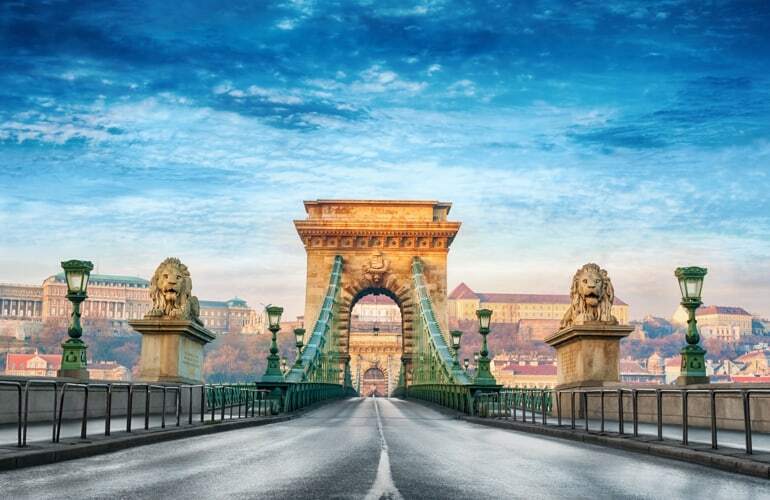 Let’s discover the mystery of these bridges before traveling to Budapest! The Chain Bridge - the most famous bridge and also the first bridge of the city, spans the Danube between Clark Ádám tér in Buda and Roosevelt tér in Pest. It was opened in 1849 after nine years of construction to the design of English engineers William Tierney Clark and Adam Clark. Built of stone and cast iron, the chain has a length of 375 meters. In addition, it is suspended between two classicist style river piers with both 48 meters in height. Indeed, just two magnificent towers can support the structure with giant iron chains. Visiting this bridge, you can admire majestic stone lion sculptures at each end of the bridge. You will definitely fall in love with its fascinating spectacle. 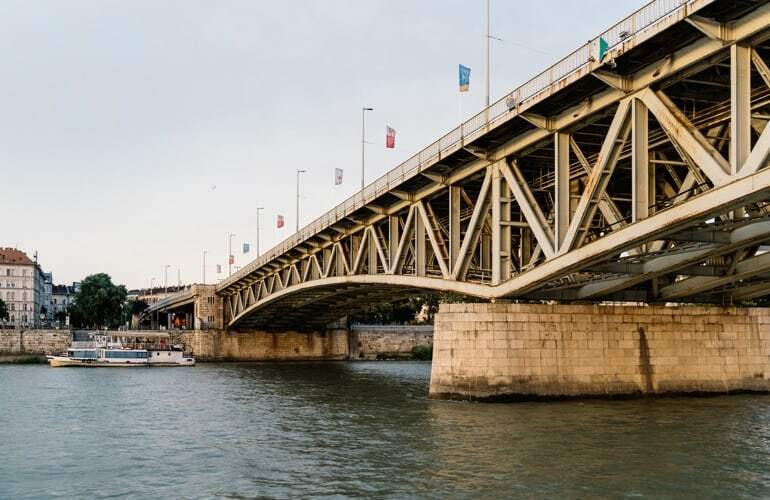 Margaret Bridge is the second oldest bridge in Budapest with a length of 637.5 meters. Built between 1872 and 1876, it connects two sides of this lovely city via Margaret Island. Designed by French engineer Ernest Gouin, that is why you can find a sculpture by French artist. In fact, six arches are connected by seven pillars and it is definitely an iron structure with many pieces. This is the shortest bridge in Budapest with a length of 333.6 meters. 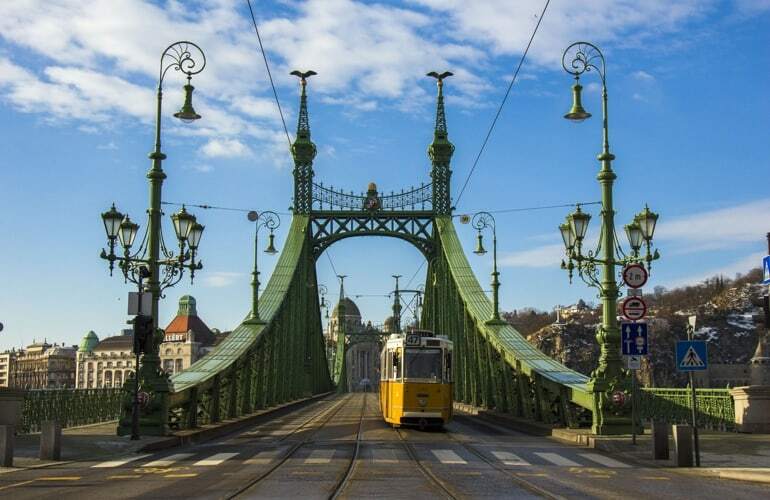 Liberty Bridge was built in 1894 to the design of architect János Feketeházy. It is known as part of the series of ceremonies organized to commemorate the 1000th birthday of Hungary in 1896. Besides, it connects two sides of the city between Corvinus University of Budapest and the Budapest University of Technology and Economics. You can easily see the mythical Turul bird on top of every bridge’s pillar when crossing this bridge. 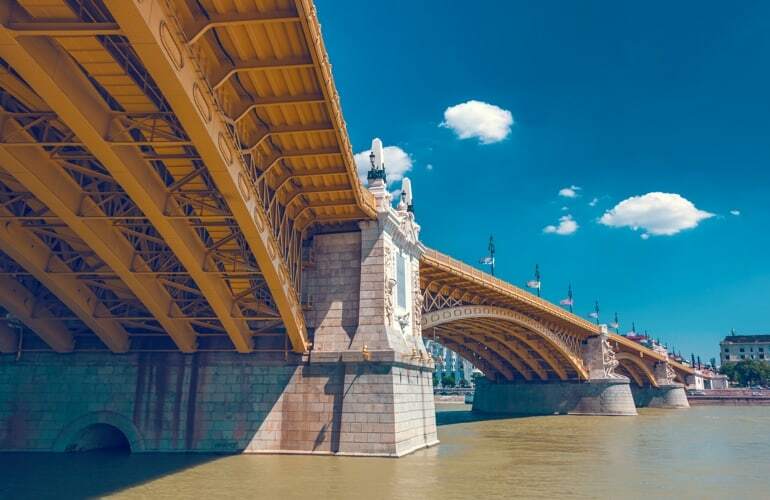 Built in 1897 and opened in 1903, this is one of Budapest’s newest bridges. With a length of 378.6 meters, Elizabeth Bridge is the most elegant bridge in Budapest. It connects March 15 tér in Pest with Döbrentei tér in Buda. Its namesake was Queen Elisabeth of Bavaria - wife of Habsburg Emperor Franz Joseph, her bronze statue can be found at the Buda end of the bridge in a small garden. According to the design of Pál Álgyay Hubert, Petofi Bridge was built between 1933 and 1937 with the length of 514 meters. It is named after one of the most revolutionary and romantic poet of Hungarian literature, Sandor Petofi. This bridge connects the southern end of Pest’s Grand Boulevard with the campuses of the Budapest University of Technology in Buda. Connecting the tips of Margarete Island and Hajogyari Islands, Arpad Bridge was built in 1939 but was not completed until 1950 due to World War II. It is named after the leader of the Hungarian settlers in 896. Built as a beam bridge, it stands at 35.4 meters wide, its length is 928 meters with two tram lines and six traffic lanes. This bridge is also known as the second longest bridge in Budapest. Inaugurated in 1995, Rákóczi Bridge is the second newest bridge in Budapest with 494 meters in length. Originally known as Lágymányosi híd, it was renamed after the noble Rákóczi family in 2011. 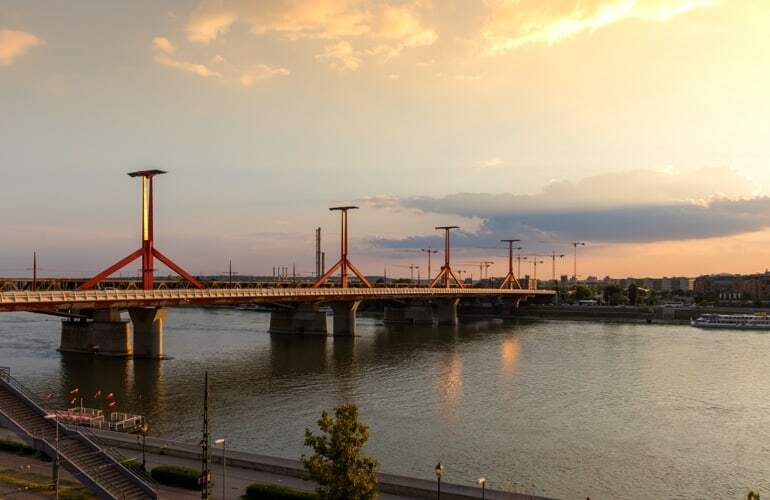 Opened in 2008 after two years of construction to a design of Mátyás Hunyadi, Megyeri Bridge is the longest and newest bridge of the capital city. It has 1862 meters in length and is composed of five sections and reaches a total height of 100 meters. 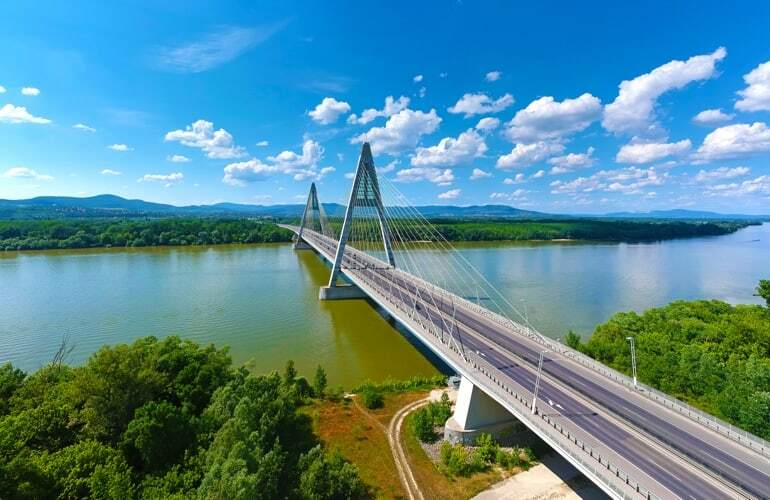 Moreover, it represents the first cable-stayed river bridge of Hungary, and functions as part of Budapest’s MO Highway.